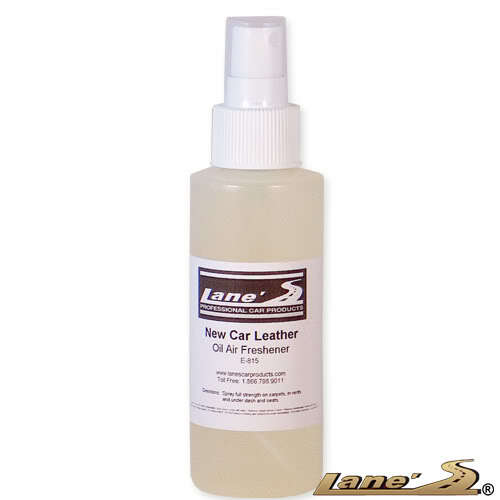 Lane's Car Products is happy to introduce New Car Leather Oil Based Air Freshener - 4 ounces. This oil based scent will provide your car interior with a long-lasting, pleasant, new car leather smell. Unlike our water based scents, our oil based air freshener will last three to four times longer. If you are looking for a long lasting new car leather air fragrance, than this oil based car scent is for you.